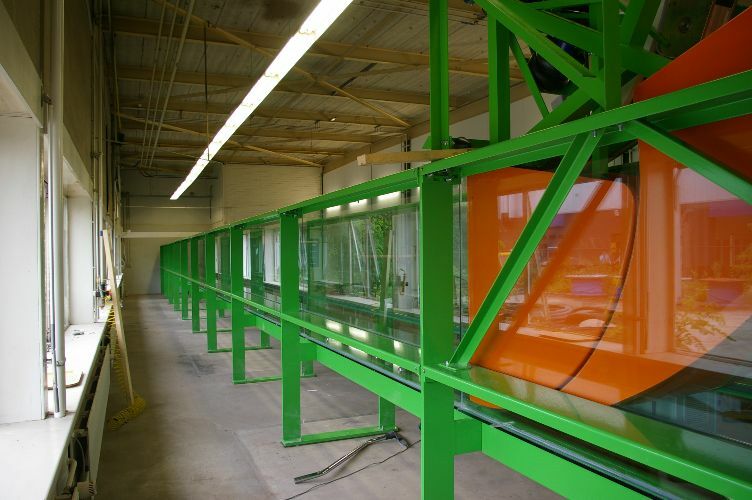 Edinburgh Designs have designed and installed a variety of wave, flow and tilting flume tanks. 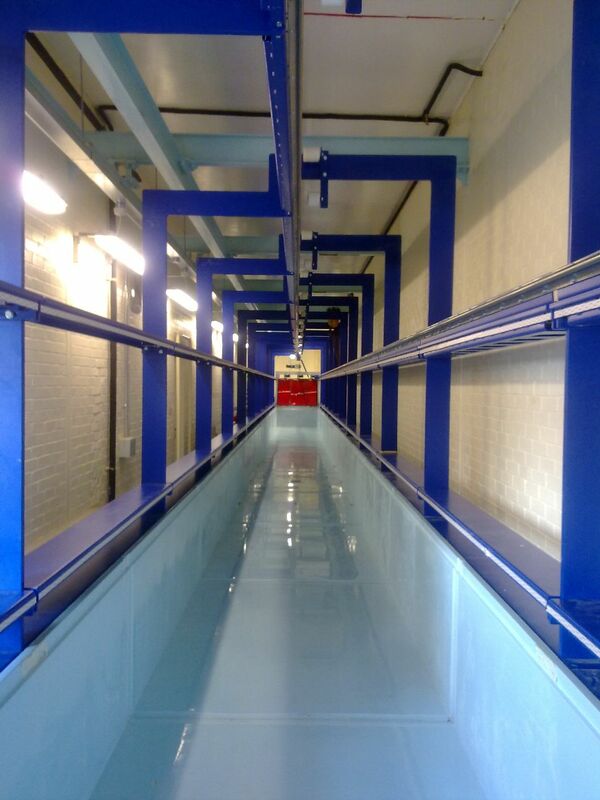 A tanks specifications can be built around the requirements of the user and could encompass anything from a simple educational flume to recirculating flow ducts. Edinburgh Designs wave flumes come the our wave generation software. A large range of spectra can be created, with the overall capability determined by the specification of the wavemaker. 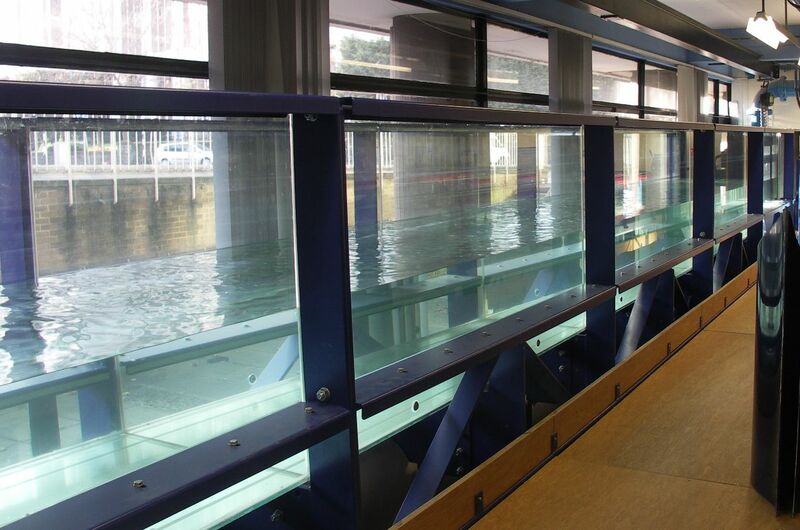 The video below shows Professor Clive Greated from Edinburgh University Demonstrating one of our Flume tanks. To compensate for losses flow tanks can be built with a tilting mechanism. Edinburgh Designs can install electrically driven jacks to adjust the tank to any angle. Sizes constructed so far range from 0.6x0.6x20m to 1.2x1.2x30m with a tilt of +/-250mm. Larger sizes are possible and can be built if required.